War is ugly. Legendary DC Comics artist Nick Cardy found some of the beauty. If you’re not familiar with Nick Cardy, and consider yourself something of a comic connoisseur, don’t be embarrassed – legend that he may be, Cardy goes way back. He trained and worked as an artist with Will Eisner in the 1940’s before being drafted into World War II. Upon his return, Cardy would become known for his work with DC’s Aquaman and Teen Titans, as well as a particular knack for drawing beautiful women (think Los Bros Hernandez, but 1960’s Midwestern America). In the newly released, Nick Cardy: The Artist at War from Titan Books, we get a look into Cardy’s drawing and art before all the DC comics. 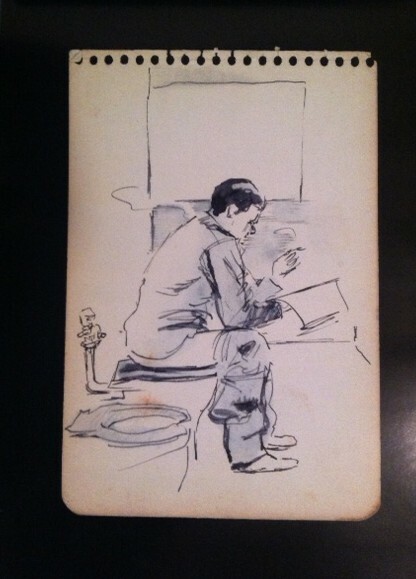 A portrait of the artist as a young man, drawing his way through World War II. At 90 years old, Cardy’s stories are fascinating both for their history and for his clarity in recounting his time at war. The written anecdotes and explanation that accompany each piece of art are warm, often funny, as if you’re sitting down to catch up with your grandfather after too many years of never really getting to know his past. Of course, being a real experience in war, Cardy also carries a certain sadness and grave respect for the experience. And then there are the drawings. 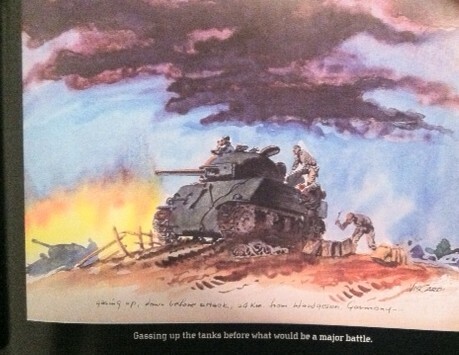 The art ranges from sketches soaked in the rawness of the field to beautifully water-colored panoramas of life at war. The talent here is incredible; photographs of war tenderly escaping Cardy’s fingers. The commentary Cardy provides on what it was like to be an artist at war – and he quickly becomes known as “someone who can draw” – is fascinating. Much like Stan Lee‘s war experience was shaped by his way with the written words, Cardy’s WWII service is shaped over and over by his ability to draw. If you’re interested in checking out the book for yourself, it’s running about 40% now on Amazon. 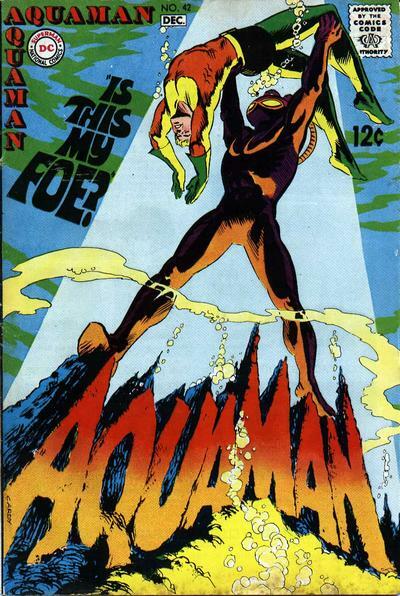 If not, here’s a look at some of Cardy’s Aquaman work. There’s a good retrospective post on Comic Book Resources if you’d like to see and learn more about Cardy’s comic art.